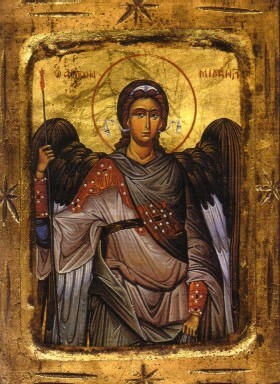 Glorious Prince, chief and champion of the heavenly hosts; guardian of the souls of men; conqueror of the rebel angels! How beautiful art thou, in thy heaven-made armor. We love thee, dear Prince of Heaven! O standard-bearer of our salvation! Be with us in our last moments and when our souls quit this earthly exile, carry them safely to the judgment seat of Christ, and may Our Lord and Master bid thee bear us speedily to the kingdom of eternal bliss.